Eliminate bird infestations with an Ultrasonic (silent to the human ear) audio attack. 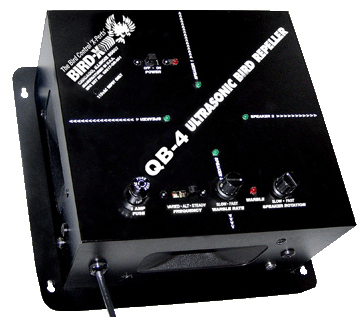 The best selling ultrasonic bird repeller is the optimal solution for your bird control needs. Disorient and intimidate birds and cause them to evade the premises within the bird repellers effective range. Birds will not hang around to find out where the attack is coming from they simply get up and leave!